Carice van Houten and Guy Pearce welcome a baby - and it's not a shadow! 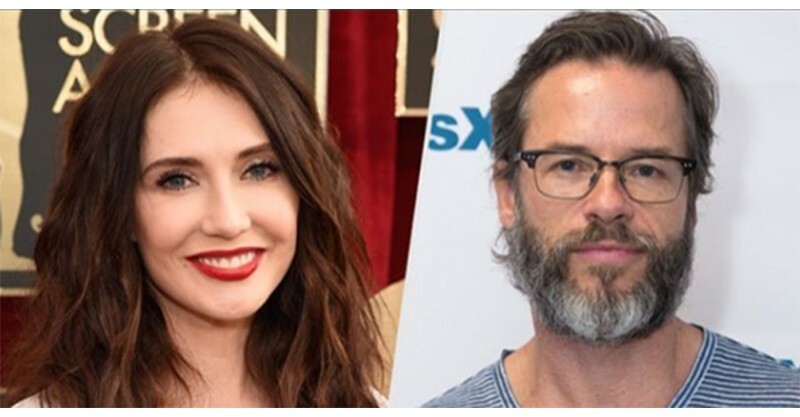 Carice van Houten and Guy Pearce welcome a baby – and it’s not a shadow! Carice van Houten and Guy Pearce welcomed a baby boy this week, named Monte Pearce. He’s the first born child to the thespian power couple. 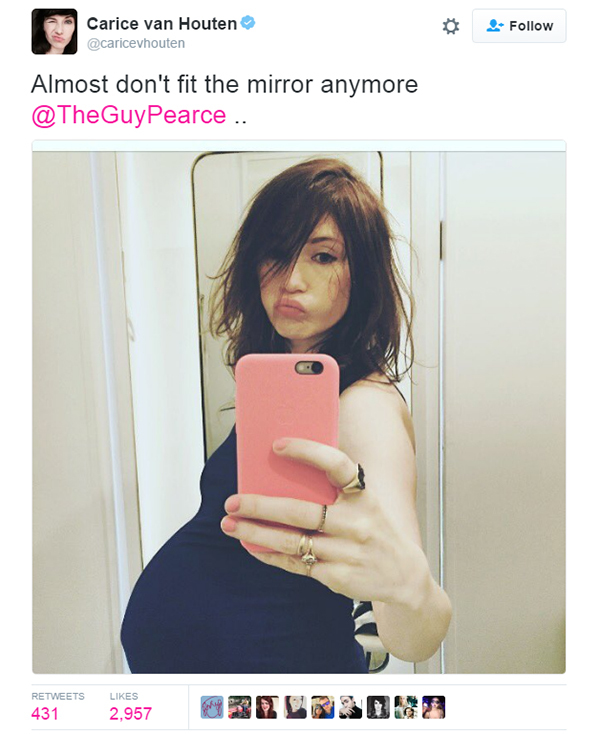 Carice has been chronicling her pregnancy on Twitter, with the last posts from July when she was on the home stretch. 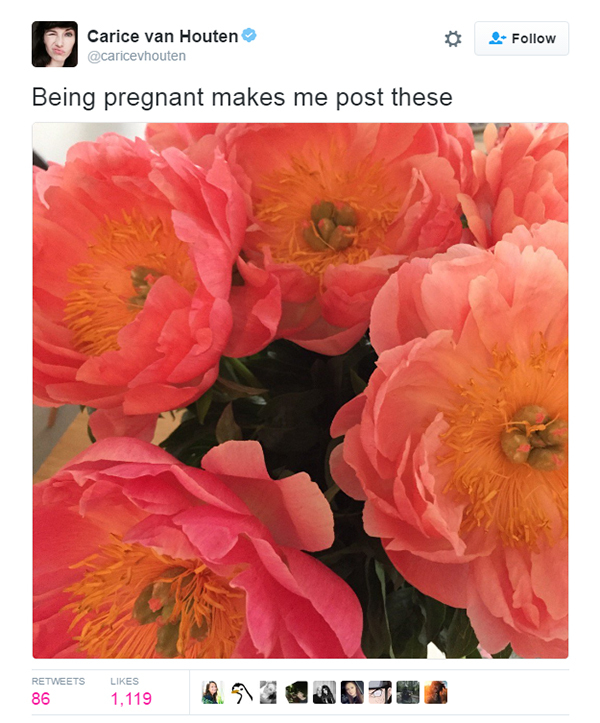 At first, pregnancy made her feel all abloom. But the reality of it soon kicked in. If you haven’t blocked out the memory of the heavy, exhausted final weeks of pregnancy, the look on Carice’s face will be all too familiar. She comments, “Almost don’t fit the mirror anymore.” Add to that list, can’t roll over anymore, can’t be away from the bathroom for more than 10 minutes, can’t find any shoes that fit swollen feet. 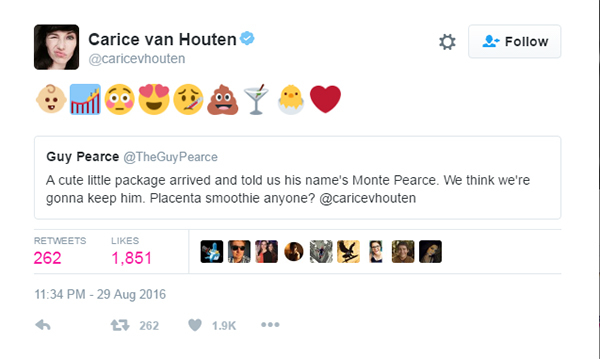 Guy took over the tweeting, announcing Monte’s birth last night, and offering to celebrate with a placenta smoothie. Carice responded with a string of emojis, including a martini and a smiling pile of poo. Clearly she already gets what this whole parenting game is about. Carice, 39, is a Dutch-born actor famous for her role as the Red Woman, Melisandre, in Game of Thrones. She confirmed her pregnancy in March by tweeting “Ok. I’m ready for your shadowbaby jokes,” referring to her pregnancy in season two of the show. We sincerely hope her delivery went more smoothly than Melisandre’s. While Guy Pearce has an impressive career starring in movies like Memento, Iron Man and Prometheus, 80s Guy Pearce – also known as the troubled Mike Young of Neighbours fame – will always have our hearts. Big congratulations to Guy and Carice! From seasoned parents to newbies: the nights ahead are dark and full of sleeplessness, but you’ll get through it.